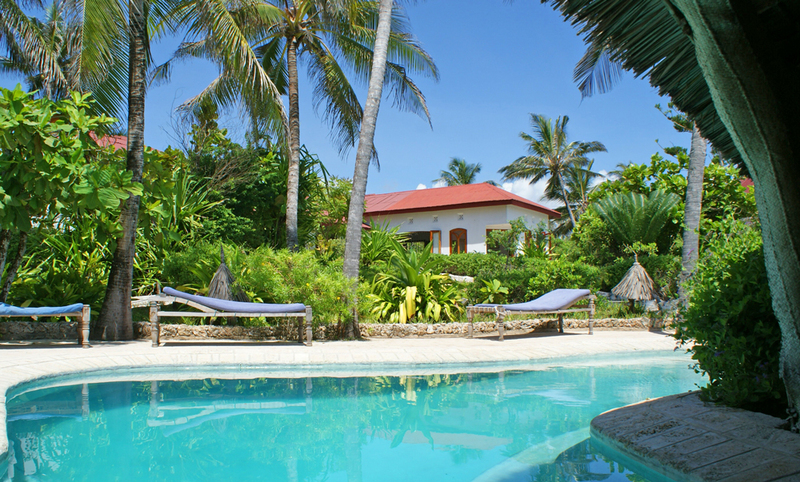 Kikapu House is a combination of a 3 Bedroom main house, with newly constructed 2 bedroom cottage, pool and pool house, commanding spectacular views out over the stunning Blue Bay Beach. The house is built on a sand dune and buffered by a fringe of indigenous plants. The property is walled on the roadside with direct access to the beach of Blue Bay below. The main house has two double bedrooms and one twin room, each with fitted mosquito nets, overhead fans, plenty of cupboard space and an ensuite shower room. 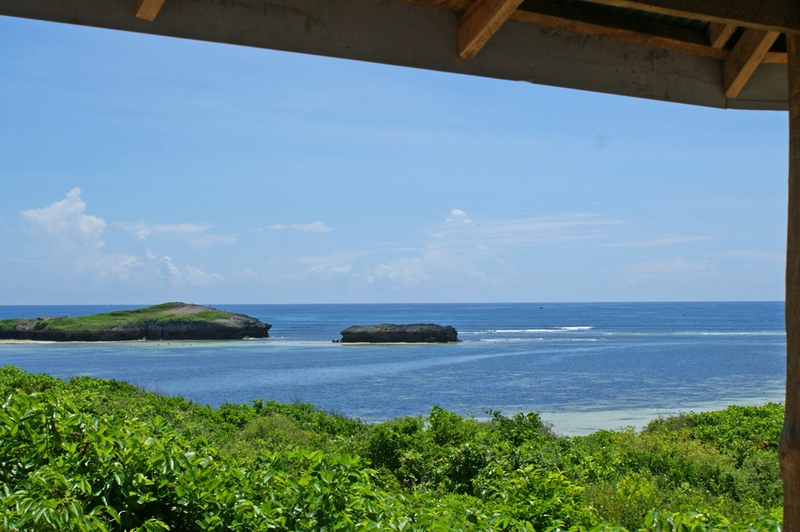 The master bedroom includes it's own private verandah with views out over the Indian Ocean. The living area is spacious and cool with access to wireless internet to escape from the heat of the day. The cottage has a further two bedrooms, one double and one twin, both with mosquito nets, overhead fans and ensuite showers. The swimming pool is set below the house and has a lovely Robinson Crusoe-style pool house with a seating area, a dining table and a bar - an ideal entertaining area with more breathtaking views of the ocean. In front of the pool house is a further sundowner spot on the beachfront with deck chairs. Please note that the wi-fi is available on a ‘Pay As You Go’ basis - clients must purchase their own data bundles - information on how to do this is available in the House information brochure. The property sleeps a maximum of 10 guests (including children) and is well staffed, including a cook.